Located about 140 kms from Gangtok, Pemayangtse Monastery is one of the oldest monasteries in Sikkim, founded in the 17th century. 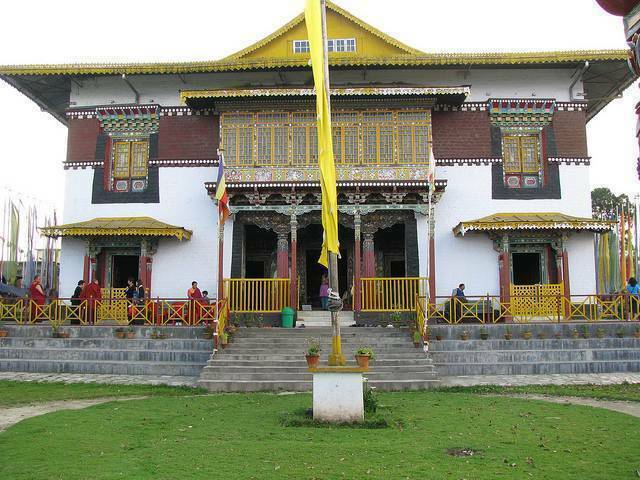 This monastery is also part of the Buddhist religious pilgrimage circuit in Sikkim and is located atop a hill at an altitude of about 2085 mts, right where trekkers begin their Dzongri – Goecha La trek. In the month of February, the Chham festival is celebrated here and attracts tourists from all over to experience and enjoy the dance and music.